Starting a dairy farming business in Bangladesh is one of the best business ideas. As you need to employ a big amount of money, labor, etc and manage them efficiently, establishing a dairy farming business in Bangladesh is somewhat difficult. Also, you’ll have to deal with to keep the cattle healthy because there is a risk of diseases. That’s why you should know how you want to start and what you’re about to do. However, you know that dairy cattle not only produce manure, methane, milk, calves, meat but they have by-products of cattle include leather for bags, coats, sheaths, shoes etc. As a result, you can make a profit while selling these in the huge market of cattle products. On the other hand, starting up dairy farm requires a lot of capital, which is way more than a meat operation does. Even you should make careful planning if you grew up on a farm. As it’s said already that dairy farming business is not an easy task to establish in Bangladesh. But, you’ll be able to establish one easily if you create a proper plan, and follow it step by step. It’s not only a capital but a labor-intensive business as well. So, if you want to conduct this business efficiently then you’ll have to have proper managerial skill. Although this guide will help you through these, remember that local knowledge is invaluable for any farmer. While starting a dairy farming business in Bangladesh, keep in mind that it’s a business like other businesses. That’s why you must develop a detailed business plan along with a SWOT analysis are crucial for you. By the way, SWOT stands for Strengths, Weaknesses, Opportunities, and Threats. As you develop your business plan and design your management system, it’s important to consult experts in the dairy industry if you grew up on a dairy. In this case, the great resources are the other dairy producers. That’s why consider attending the field days and open houses on dairy farms not only in your area but other parts of the country. Also, find out what has worked well on those farms and what has not worked while visiting other farms. However, it’s not all necessarily will for your farm that is happening in the farms you’re visiting. Moreover, you should talk to veterinarians, nutritionists, agronomists, bankers, extension educators, and others that can provide different perspectives on the management of your dairy apart from the farmers. Dairy cattle require a certain set of nutrients to support themselves, produce milk, and grow a calf whether you are going to feed a TMR (total mixed ration), graze your cattle, or some combination of both. And if these animals are to be raised on the farms then work with a nutritionist to develop rations. That’s why we see that many dairy farms produce most while following this method. Also, it’s not to mention equipment for planting and harvesting the crops while raising all your own feed takes land and time. As you get started with your dairy business and are building capital, you need to hire laborers to harvest. Moreover, you can do one thing that makes arrangements with neighbors to share equipment and labor to reduce investment. So, this is an essential step for your dairy farming business in Bangladesh. There will come out a lot of manure when you’re in the dairy farming business. It can be a great resource on the farm if managed and used properly while this manure is often referred to as waste. And your manure management and cropping program are to be tied so closely. Also, it’ll not only allow you to produce more feed but will also allow you to apply more manure to your land if you are able to use a double cropping system on your farm. Among the alternatives to the direct land application of manure are such as composting and anaerobic digestion. 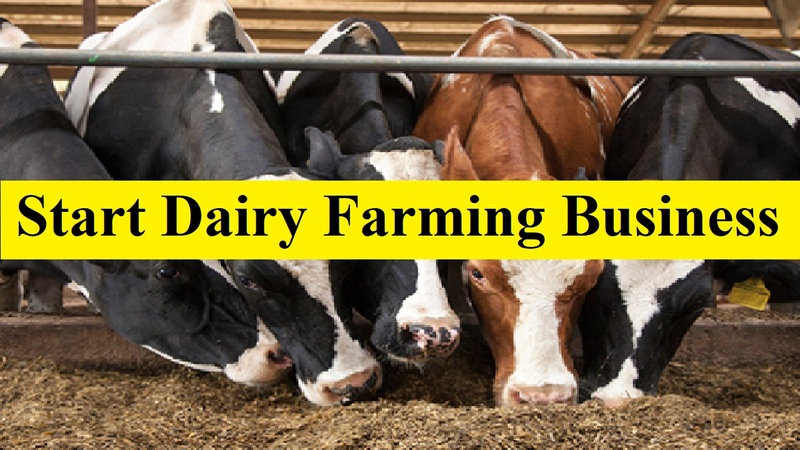 Moreover, they will also increase the capital investment required to get your dairy started while these options may provide additional revenue and other benefits to your diary. As you know, a dairy farming business requires a large investment. When you get started in business you’ll have the capital required to purchase everything. Its other issue if you’re planning to buy an existing dairy farm. It already has everything needed for it when you buy a running one. But, you need to ensure that you have all the capital if you’re planning to start from scratch. Whether you want to buy foods for your cattle, or you want to produce it, you should ensure that. And you’ll have to purchase some extra land for this if you want to produce foods for those. Your plan should ensure to be matching the size of the land and buildings match the size of herd grow.